In a time of mourning it can be of great relief to your family to know that your estate is being taken care of by an individual who understands the final wishes of the deceased. That is where a Probate lawyer comes in. Probate, is a court-supervised process of dividing up and determining the value of a deceased person’s assets and belongings. Prior to death, a Probate Lawyer is entrusted with the task of counseling the individual regarding their estate. A Probate lawyer will ensure that your final wishes are taken into account, making sure that those whom you provided for are properly taken care of. 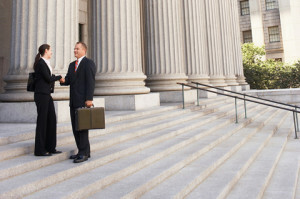 The Ficara Law Office has been providing professional Probate services for over 30 years. Ignazio Ficara specializes in estate planning and therefore understands the importance of establishing Probate. With the Ficara Law Office you will receive dedication to customer service, attention to detail, discrete professionalism and expert advice. Hundreds of satisfied clients have chosen Ignazio Ficara for their Probate proceedings because they trust that he will work with them to ensure that the Probate process is handled in a professional manner. In California there are specific laws that must be followed in order to adhere to the legal process of filing for Probate. Without the assistance of a lawyer, managing an estate can be complicated. It is important that those who wish to file for Probate hire a Probate lawyer to assure that everything is done according to the law. 1. Locating and holding the decedents assets. 3. Taking care of outstanding bills. 4. Filing Income Tax returns for the deceased. It is especially important to establish Probate if the deceased had substantial financial accounts or owned various properties and had very specific wishes regarding how his or her assets should be divided when he or she is deceased. Because these issues can often be complex and difficult to navigate, Ignazio Ficara will do his best to offer expert advice in the area of Probate law and management. He will provide you with fantastic one-on-one service, to help you better understand the Probate process. If you are concerned about whether or not you need to file for Probate, call (760) 365-7000 to make an appointment with the Ficara Law Office.